Interstate 40 westbound approaches the agricultural inspection station outside Needles, California. Photo taken 07/22/14. 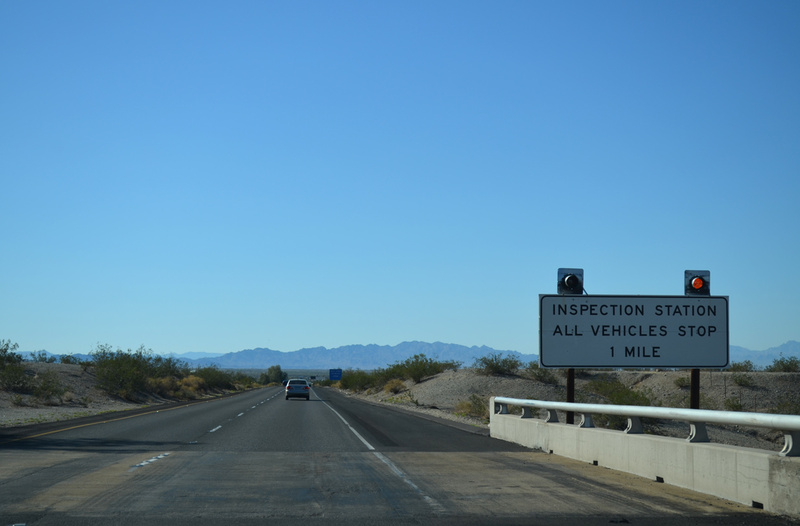 Agricultural inspection stations lie along all Interstate highways entering California from Arizona, Nevada and Oregon. When in operation, these stations require motorists to stop as officers do a visual observation of vehicles or verbal questioning of drivers for any inbound based agricultural products. 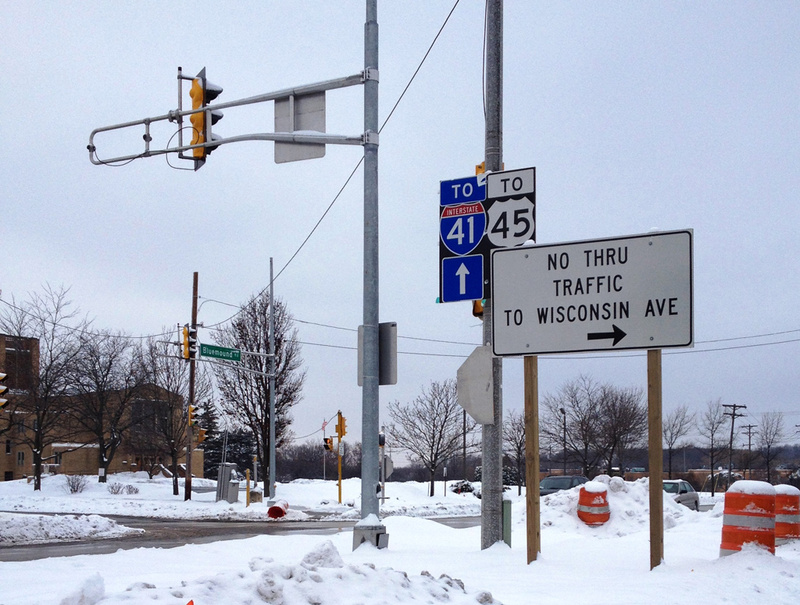 A prematurely revealed Interstate 41 trailblazer in Milwaukee. Photo taken by davenh (12/25/13). 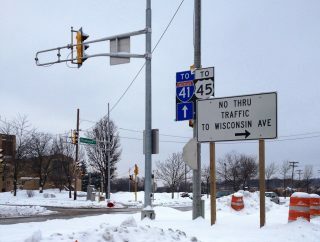 Interstate 41 is one of the newest Interstates in the system, with approval by AASHTO in November 2012. Additions since include Interstate 2 in 2013 and I-11 in Nevada.